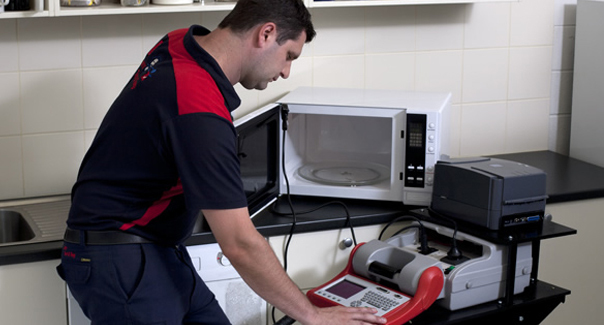 In Australia, portable appliance testing (PAT) is an important aspect of workplace safety. In any workplace there are a number of portable electrical equipments that are used for a number of different jobs. The testing and maintenance of these portable appliances is required to ensure that they do not pose any kind of threat to the worker using them. PAT testing Australia offered by Jim’s Test & Tag is one way through which you can make sure that your portable appliances are functioning properly. At Jim’s Test & Tag, we offer comprehensive testing services for portable appliances used in any industry. We perform every test necessary on your portable appliances, which are in compliance with the Australian workplace safety standards. The Jim’s Test & Tag team is composed of experienced and highly trained technicians who thoroughly test each appliance both visually and electrically to make sure that it is free of any faults. Portable appliances used in the workplace need to be tested to make sure that they are not defective in any way. A defective appliance can endanger the worker that is using it. To avoid this risk, PAT testing Australia has been made mandatory for all portable appliances used in a workplace. If you are worried about the safety of your portable appliance and want to ensure that they are in compliance with the safety regulations then contact Jim’s Test & Tag today and ask about our PAT testing Australia.